Announcement YES I can still ship in time for Christmas. Current turn around time is 1 day. If you order by Thursday Dec 20, we will still make the USPS cut off times! YES I can still ship in time for Christmas. Current turn around time is 1 day. If you order by Thursday Dec 20, we will still make the USPS cut off times! 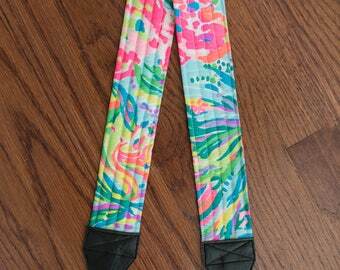 This is my second Lilly camera strap. Great quality and comfortable! Returns are accepted on a case by case basis. Please contact me if you have any issues with your strap at all! Unless there is a mistake in your order that is made by the seller, the buyer is responsible to pay to ship returns back. All returns must be un-used and in new condition. Refunds will be issues once items are returned and received by seller. I accept all forms of payment on Etsy. Once the transaction is complete, I will ship your order within five BUSINESS days. Please note that if you pay by e-check, there will be a delay of 3-5 business days before your item ships while the payment clears. Please contact me with any payment problems or issues! I will ship priority or first class mail at a flat rate (your choice)...everything will ship as a combined order as long as it is going to the same address. If you would like additional shipping quotes or want to add insurance or confirmation please let me know! The stated shipping rate is for first class shipping which runs 2-5 BUSINESS days in the United States. First Class shipping generally runs about 10-14 BUSINESS days to Canada. If monograming is added, please allow for one extra business days before the item ships. INTERNATIONAL BUYERS: Please note that items may be held in your country for additional custom/duty/VAT fees. These fees are separate from your purchase with me and I in no way control the fees nor do I know what the fee is. Please check with your local postal service if you have any questions regarding the fees. I can not alter the shipping customs form to indicate the item is a "gift" or change the stated value to change the amount you pay. I'm so sorry for the inconvenience!! I welcome custom orders and will try to accommodate any and all requests. Have fabric of your own that you love? I can create a strap from it as well. Convo me for rates or if you have any other questions! 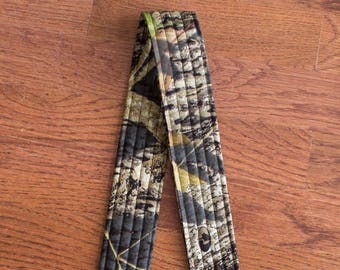 There is an additional charge of $10 to order fabric to have a custom strap made. Business days for my shop are Monday through Friday. Frequently, I work on the weekends as well as ship and answer emails. Please understand that I am a mom with little kids and work my hardest to get everything into one day! If you email me late Friday night, I will make every effort to get back to you but it may not be in the normal 24hour response time. If you need something more quickly, please feel free to email me at browardpatch [!at] gmail.com!